Born on November 23, 1967, Gary Kirsten will always be popular in the cricketing world for guiding India to a second World Cup victory since 1983, in April 2011 in the Indian subcontinent rather than a legendary South African cricketer. In fact, before writing about him, besides his name I had mistakenly written India as the country of his nationality rather than South Africa! Kirsten made his international debut for the Proteas in 1993 and went on to have an extremely successful career until 2004. In this time, he played 101 Tests and 185 ODIs and amassed close to 15,000 runs in both forms of the game combined. It was due to his efforts as a sturdy left-handed opening batsman that South Africa became a competitive team and eventually a superpower in the world of cricket. He also has the record of the highest individual score in World Cup cricket, 188 not out against the United Arab Emirates in a group match at Rawalpindi in the 1996 edition of the tournament. But his desire for taking up a coaching career came after retirement, since he opened a cricket academy in the port city of Cape Town. He was eventually selected to coach India, and began his stint in March 2008. Ironically, his first series in charge was against South Africa in India and the 3 Test series was drawn, 1-1. Since then, India and South Africa have been head-to-head with each other since in 8 Tests from March 2008-January 2011, both the teams have won three Tests each out of eight whereas in ODIs, South Africa leads by 5-4 in 9 matches from February 2010-March 2011. More importantly though, it was under Kirsten that India became the world’s numero uno team in Test cricket having won matches in South Africa and Sri Lanka and series in New Zealand and Bangladesh and series wins at home against Australia twice, England, Sri Lanka and New Zealand. While in ODIs, India officially were ranked No.1 in the autumn of 2009 even if it was for 24 hours, since they had won series in Sri Lanka thrice, in New Zealand and West Indies and at home against England. Followed by that, they won the Asia Cup in Sri Lanka again, and at home against Sri Lanka, New Zealand, South Africa and Australia. Then came the magnum opus, the World Cup. Barring the Indian team’s achievements during his tenure, amongst the players Kirsten will be remembered as someone who was more of an ‘elder brother’ to them, knowing when to be formal and informal with them. He was the man responsible for motivating them from time to time and making the team play as a unit. The team paid him an ultimate tribute by lifting him on their shoulders, after the World Cup win across the Wankhede Stadium in Mumbai and the crowd cheered for him with a massive roar. MS Dhoni, the Indian captain acknowledges his role by calling him ‘The best thing that happened to Indian cricket’. He never took credit for what he achieved with India and continues to possess a modest approach towards coaching, something which South Africa is able to experience now since he is finally his home country’s coach. The team had a successful tour of New Zealand recently and beat Sri Lanka at home in ODIs and Tests. 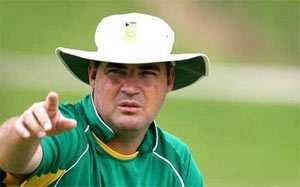 If he can guide the Proteas to a World Cup win in 2015 and the No.1 spot in Test cricket, he could definitely qualify to be one of the greatest coaches of all time and one of those rare men who have turned to be good coaches as well as good players. John Marshall Buchanan was born in Ipswich, Queensland on April 5, 1953. Being tall and slightly darker in colour with respect to the people of his country, he is still a recognized figure in Australian cricket despite having quit as the coach of the national team in April 2007. Not to mention, being bespectacled, it seemed from his external personality itself that he was a more academic oriented person and has an analytical mind. He was a lecturer at one point of time at the prestigious University of Queensland in Brisbane. He has never played Test cricket for Australia but has first class experience, having played for his home province, Queensland in Sheffield Shield cricket in the 1978-79 season. But it was an unsuccessful stint for him, as he managed to score a meager 160 runs in 7 matches, being mainly a batsman who could bowl a bit. Yet, it was primarily due to this stint that the Australian Cricket Board (now Cricket Australia) chose him as coach in October 1999, shortly after the team’s World Cup victory in England. It was a considered to be a dubious selection but eventually turned out to be an excellent one as his tenure as coach began with 15 consecutive wins in international matches. He believed that he had to work hard on two things – firstly, on building a solid rapport with the then captain Steve Waugh and secondly, on attempting to improve the personality of the players so that their performances on the field are affected positively. He did succeed in achieving both those objectives, the second one to an extent as he never had a good relationship with the team’s legendary spinner, Shane Warne. Warne and Buchanan were always at loggerheads with each other, whether it was in cricketing or non-cricketing issues. Fortunately, both of them always bothered for the team first and put their personal differences aside for Australia’s benefit. As a result, it was under Buchanan that Australia officially was ranked World No.1 in Test cricket for the first time, and the reign expanded seven years. In this time, Australia was not only unbeatable at home but also prevailed in series in England, India, Sri Lanka, West Indies, Bangladesh, South Africa and New Zealand. This implies that the manner in which he worked with Waugh and Ricky Ponting in the second half of his tenure must have been impressive and to approve this theory, both of them have given him due credit for the team’s dominance in world cricket at the time. Even if Buchanan will always be remembered as a coach who was at the helm when Australia won two World Cups, in 2003 and 2007, he is somehow considered as a ‘greatest’ coach by many, Warne being of course one of them. This is because Buchanan can tend to complicate even the simplest aspects of the game. It was seen during his two-year term as the coach of the Kolkata Knight Riders (KKR) in the IPL, when he was said to have thought of the idea of a ‘multiple captains’ theory which involved the team having more than one captain for the tournament. This turned out to be a way of masking his differences with Sourav Ganguly, the icon player of the team then and surprisingly, Brendon McCullum led the team for the whole 2009 IPL season in South Africa where they finished at the bottom of the points table. Buchanan was unceremoniously dumped from the KKR team management and since then their performances have improved, because there has not been that much of a team rift. However, due to his legacy of coaching a national side to heights of world glory, he was appointed as the Director of Cricket for the New Zealand team last year and still holds that position. The late Robert Andrew Woolmer, fondly known in the cricketing world and his relatives as ‘Bob’ Woolmer, was born on May 14, 1948 in Kanpur, India near the Green Park Stadium. This is because his father, Clarence Woolmer used to play for the United Provinces (now called Uttar Pradesh) at the time in the Ranji Trophy competition. Unlike Buchanan, it was evident that he was someone who would love to play on the cricket field rather than sit at one place and study. At the age of 15, he converted himself from an off-spinner to a medium pace bowler who could bat, making him a potential bowling all-rounder. He played for Kent in the English county cricket competition in 1969 and made it to the national team six years later. But his international career lasted until 1982 itself, since he was a part of the Kerry Packer World Series cricket as well as the rebel tour of the erstwhile apartheid South Africa. But he had a fascination since an early age towards coaching and consequently, obtaining his coaching qualification in 1968 in South Africa, which was ironically the first country which he coached in international cricket. Before becoming the team’s coach, he had the experience of coaching the second eleven of Kent and Warwickshire in county cricket which helped him in his international career. He began his tenure as South Africa’s coach in 1994 inauspiciously as the team lost all their matches in Pakistan. But he was the architect of South Africa becoming the cricketing superpower that it is today, by guiding the team 10 out of 15 Test series wins and a winning percentage of 73 in one-day international cricket. In the process, he was able to forge a fine partnership with the disgraced and late Hansie Cronje who was the captain for most of the matches under his coaching term. Perhaps, the only letdown of Woolmer as the coach of South Africa was when the team was knocked out of the 1996 World Cup in the quarterfinals and the 1999 World Cup in the semifinals which may be considered as unfortunate, despite having performed extremely well in the initial stages of both the tournaments. This is a disease which the South Africans have not been able to cure in their otherwise illustrious cricketing history so far. But it was during that period that he was the personification of ‘innovation’ in coaching. He was the pioneer of using a laptop in the dressing room perhaps for creating a video analysis of every game, something which is now a common occurrence amongst almost every team in the world. He was also the man to introduce the idea of a captain wearing an earpiece on the field to communicate with the coach, something which was eventually outlawed by the ICC. It was in 2004 that he was appointed the coach of Pakistan’s cricket team, succeeding Javed Miandad. Here, he had a wonderful beginning to his stint, guiding the team to the semifinals of the ICC Champions Trophy 2004, and a successful tour to India which involved a 1-1 series draw in 3 Tests and a 4-2 series win in 6 ODIs. However, after that he could not help the team much which was focused more on resolving differences due to religion rather than playing their cricket, according to him. Despite that, the team was strong at home since they beat England and India in Tests during the 2005-06 season and won both ODIs and Tests in Sri Lanka. Pakistan had a disastrous outing in the World Cup 2007 since they were knocked out in the first round of the tournament following a shock defeat to Ireland. A day after the defeat, much to the dismay rather than a surprise to the cricketing world, Woolmer was found dead in his hotel room in Jamaica. It was suspected initially that he may have been murdered by the underworld due to something related to match fixing or revenge. But the police eventually declared that he died due to natural causes, which makes his expiry unfortunate and all the more sad. A two minute silence was held in his honour for most of the matches that were played in that tournament, at the start. Davenell Frederick Whatmore was born on March 16, 1954 in Colombo, Sri Lanka. He must surely be one of the most experienced coaches in world cricket at the moment. When he was eight, his family shifted base from Sri Lanka to Australia and since then, Melbourne has been his hometown. Having played first class cricket for Victoria helped him in gaining knowledge about the game, which is crucial for the art of coaching. In fact, he even made it to the Australian cricket team in 1979 but was dropped after a year due to inconsistent performances. But it was in 1989 that he first entertained a thought of pursuing cricket coaching as a professional career. He coached Lancashire in English county cricket in the 1998-99 season and he found immediate success with the team, as Lancashire were the champions in both the Test and the one-day format. Though he will always be remembered as the man who constructed Sri Lanka’s World Cup win in the Indian subcontinent in 1996, even as he had massive differences with the captain, Arjuna Ranatunga. Yet, it is said that Whatmore’s role as the coach was key in that victory because he advocated the idea of Sri Lanka’s openers, Sanath Jayasuriya and Romesh Kaluwithrana attacking the opposition in the first 15 overs itself, when there were fielding restrictions. Today, Sri Lanka is one of the top teams at least in limited overs cricket because of his contributions, especially with the fielding levels of the team. Sri Lanka is also undoubtedly one of the best fielding sides amongst teams from the Indian subcontinent. He returned to coach the country of his birth in 2001 and under him; the Lankans reached the World Cup 2003 semifinal in South Africa. But he quit the job, only to inexplicably take up an offer of coaching Bangladesh the same year. Even during this time, Whatmore was the man who had some ideas or the other to make Bangladesh a team which could at least compete strongly with top teams in world cricket, if not defeat them. He believed that Bangladesh had to use up their entire 50 overs in ODIs so that they could reach a defendable score, when batting first and give themselves the slightest of chances to chase a particular target. Consequently, Bangladesh transformed from a team of whipping boys, to a team which was capable of creating upsets in ODIs if not in Tests. 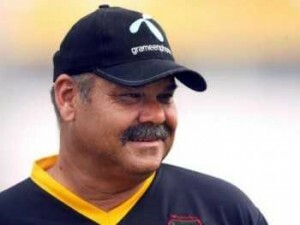 Their Test record continues to be miserable, but Whatmore could be considered to be the man behind Bangladesh’s wins against India in 2004 at home and in the 2007 World Cup in the West Indies, and wins against Australia in 2005 in England and South Africa in the 2007 World Cup as well. He quit the job in 2007 itself. He then went on to become the Director of the National Cricket Academy (NCA) in Bangalore for close to a year before he took up the duty of coaching the Kolkata Knight Riders in the IPL for the 2010 and 2011 seasons respectively. He had a relative successful coaching campaign in India, having done wonders to some of the players’ skills at the NCA and guiding KKR to the last four of the IPL for the first time in four years in 2011, even as the team finished a lowly sixth in 2010. However, he quit the post of the coach of Kolkata for coaching the Pakistan cricket team recently and his stint there started off well with a win in the Asia Cup in Bangladesh. 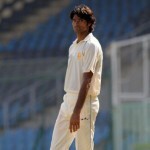 Although some of the Pakistani players and Arjuna Ranatunga in particular did not favour his appointment as coach of the team due to his reputation as a ‘hard taskmaster’, he is unique since he is the only coach to have coached three Indian subcontinent teams in his career and has been extremely efficient. It will not be a shocker if Pakistan continues its consistency under his guidance. John Geoffrey Wright will go down as one of the most popular and respected coaches of the Indian cricket team. Born on July 5, 1954, Wright had a moderately successful career for New Zealand being a southpaw who opened the batting for his team. He featured in 82 Test matches and 149 one-day internationals and scored close to 9,000 runs in both formats of the game, being more prolific in Test cricket. He has the dubious record of being the second player in the history of the game to score eight runs off one ball, running four and four runs were scored off overthrows. Failing to build a career in sales after retirement, Wright decided to pursue a career in coaching which was a way for him to get back to the game he loved the most. He coached Kent in English county cricket for 18 months before being offered a contract by the Board of Control of Cricket in India (BCCI) in mid-2000. 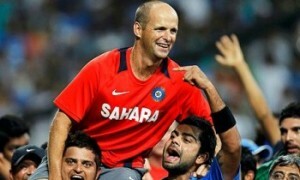 His first assignment as the coach of India was a 2 Test series against Zimbabwe at home, which India won. From then on, he and the then captain Sourav Ganguly went on to form one of the finest coach-captain partnerships in the history of the game. Although Wright and Ganguly had completely different ideologies as to how to run the team, Wright was a firm believer in the fact that it was the captain who eventually runs the ship in this game and this is one of the reasons Ganguly did not mind working with him since it suited his leadership style the best. It was under Wright’s tenure that India became as one of his favourite cricketers, Rahul Dravid says ‘The big boys of world cricket’. He masterminded India’s historic Test series win at home against Australia in March 2001 by suggesting Ganguly to make Laxman bat at No.3 in the second innings of the Kolkata Test, which India was losing. Laxman went on to score 281 and won the game for the country. Many credit Ganguly for leading the side with panache, which was the prime reason why India began to win ODIs and Tests away from him. But the same people do not see that Wright was the man who was equally instrumental behind their success as he pressurized the BCCI to appoint a team filled with the best of fitness trainers, dieticians, psychologists and other support staff if possible as he felt that India had to focus on physical fitness to a huge extent and mental fitness as well to win more. Consequently, India won ODI series in England, Pakistan, West Indies, Bangladesh and a few matches in Australia and New Zealand. And then of course the team shared the ICC Champions Trophy with Sri Lanka in Sri Lanka in September 2002 and made it to the World Cup final famously in South Africa in 2003, after a disastrous start to the competition. While in Tests, India won matches in England and Australia after long and in Sri Lanka, Zimbabwe and West Indies as well. Not to mention, series wins in Pakistan for the first time and Bangladesh were also accomplished. 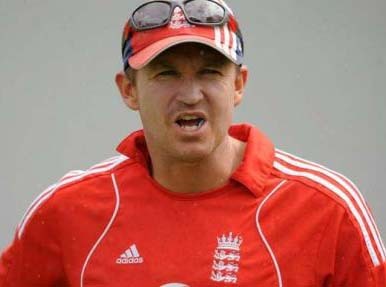 Wright quit after 4 and a half years, in April 2005 following India’s loss of form due to poor performances at home against Australia and Pakistan that season. To describe his stint as India’s coach, he authored a book called ‘Indian Summers’ alongside writers Sharda Ugra and Paul Thomas. He is said to be the man who has the ‘Midas touch’ as he has the ability to revive teams which are in a precarious situation. He has been the coach of his home country, New Zealand for 18 months now and admirably guided the team to the World Cup semifinal last year despite the fact that the team was in extremely poor form prior to the tournament. He also masterminded New Zealand’s win against archrivals Australia at Hobart in November 2011 in a Test match, and of course a productive tour to Zimbabwe. Duncan Andrew Gwynne Fletcher was born on September 27, 1948 in Salisbury, Rhodesia. He was an extremely competitive all-rounder and at one point of time, his performances were so upto the mark that he was named captain of the Zimbabwean cricket team and defied the theory to a certain extent that good all-rounders never make good captains. He has never played Test cricket because Zimbabwe did not qualify for the longest format of the game back then. Yet, it was Fletcher who led the minnow nation to a famous upset win over Australia in the 1983 World Cup in England. However, Fletcher like many other of his counterparts wished to take up cricket coaching because he is the best at this game than anything else. 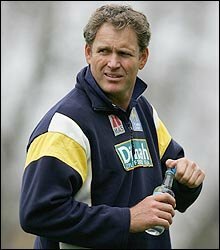 As a result, in 1999 he became the first foreign coach of the England cricket team and had the mountainous task of turning the fortunes around of a side which had an extremely poor 12 months prior to his appointment. The team lost the Ashes in Australia again, without giving much competition to the home team and then struggling at home, having being knocked out in the first round of the World Cup and losing a Test series to the bottom-ranked New Zealand team. But he was able to achieve that task, as he believed to create a healthy relationship with Nasser Hussain, the then captain of the side. He was apparently the one to have thought of the idea of sending the young and inexperienced Michael Vaughan to open the batting with Michael Atherton which was a gutsy decision. England went on to win not just at home, but more importantly away in the period of 2000-2004, as they won series in Sri Lanka coming from behind, Pakistan, West Indies, Bangladesh and South Africa and in 2006, there was a drawn series in India, 1-1. He managed to continue a similar relationship with Hussain’s successor as captain, Michael Vaughan and it was due to Fletcher primarily that Vaughan has a national record of winning the most number of Test matches as captain. His moment in the sun as coach was the Ashes 2005 win at home, due to which he received not just the Order of the British Empire (OBE), but also British citizenship. Under the Fletcher-Vaughan partnership, England had consolidated the No.2 position in the ICC Test rankings at one point of time. But his end was near when England lost away series, to Pakistan almost immediately after the Ashes and to Australia, losing the Ashes which they had gained 15 months ago by a 0-5 margin in 5 Tests. And the fact that England were unceremoniously knocked out of the Super Eights in the World Cup 2007 did not down too well with the England and Wales cricket board (ECB) and that was it. All the more reason why Fletcher was sacked was because of England’s poor ODI form over the years not improving and the best he could achieve with this team was reaching the ICC Champions Trophy 2004 final at home and winning a triangular series in Australia after a disastrous Ashes. Currently, he is the coach of the Indian cricket team succeeding Gary Kirsten and has not had the greatest of beginnings with Dhoni and co., as once again under his tenure, a team was whitewashed in a Test series in Australia and India were whitewashed in England, ironically his former team last summer. He will have to instigate positive results to ensure that he is retained for the job by the BCCI bosses. John Michael Arthur, better known as ‘Mickey Arthur’ was born in Johannesburg, South Africa on May 17, 1968. He played domestic cricket for teams such as Orange Free State, Griqualand West and South Africa, scoring 6557 runs in aggregate from a period of 1986 to 2001. He may have had the dedication to perform well, but perhaps he was not destined to become a top cricket player which is what he realized following an inconsistent domestic career, which had no proper direction. It was astonishing to a certain extent that Arthur was chosen to be the one by Cricket South Africa to coach the national team beginning from late 2005, due to his inexperience although he did guide the Eastern Cape team to two consecutive finals of the domestic T20 championships. His first assignment was the toughest and eventually the worst of his coaching career as South Africa were whitewashed in the Test series in Australia and finished last in the triangular series in the same country. But then happy times returned for the Proteas as 2006 was much better than 2005, as they took revenge on the world champions Australia, beating them 3-2 in the ODI series at home which involved the spectacular record chase of 434 at Johannesburg. Although they were again whitewashed by them in the Test series which followed, New Zealand were duly beaten in a quick span of time in the next home series. They lost an away Test series to Sri Lanka in the summer but fought back in the upcoming months to make it to the semifinals of the ICC Champions Trophy in 2006 and win ODIs and Tests at home against India and Pakistan, which was just before the World Cup 2007 in the Caribbean. But South Africa’s World Cup drought continued as it was a déjà vu of 1999, eventually losing to Australia in the semifinal and the team was fortunate to have got there since they beat an out of sorts England and West Indies and won narrowly against Sri Lanka, which was their performance against the top ranked teams. South Africa though shockingly lost to Bangladesh in the Super Eights, which acted as a catalyst for their exit at some point of time in the competition and made them lose their World No.1 ranking in ODIs as well. But that did not demoralize the team as their outstanding run began after the tournament. They defeated Bangladesh and Pakistan amongst the Indian subcontinent teams in their own backyard and impressively leveled a 3 match series in India. Wait there is more! Michael Vaughan’s England was beaten 1-2 in 4 Tests in England and Ricky Ponting’s Australia also lost 1-2 in 3 Tests in Australia. What could be better than this? New Zealand were again defeated in South Africa, and so were West Indies and Bangladesh. The Proteas remained unbeaten for 9 consecutive Test series in the last part of his reign, quite an achievement in itself. While in ODIs, the team won in Australia and Pakistan and at home against West Indies, Zimbabwe and New Zealand. Arthur resigned in January 2010, following the team’s average performance against England in the home series in late 2009. He then eyed Australia and became the coach of the Western Australian Warriors and met with moderate success, followed by which he was appointed as the coach of the yet-in-transition Australia’s national team. His tenure has been mixed so far; with a triangular ODI series win at home against World Cup winners India and the finalists Sri Lanka but a leveled series in West Indies was to follow, by a 2-2 margin which was disheartening. While in Tests, Australia were upset by New Zealand for the first time in 26 years on home soil, at Hobart to be specific. But India were whitewashed in the Test series at home which followed. Despite being a Zimbabwean by nationality, Andrew Flower was born in Cape Town, South Africa on April 28, 1968. Grant Flower, another legendary Zimbabwean batsman is his younger brother and both of them represented the national team. Andy though was much more a prolific run getter for his team and also kept wickets for a period of time. He was rated during his era as one of the finest players of spin in the world, which explained his successes in India in particular out of all countries despite his team not playing as well as him. Yet, he was underestimated by many perhaps due to his nationality just as Shakib al Hasan is currently because of being a Bangladeshi. He shot into global fame since he was one of the two players (Henry Olonga being the other) to take a bold step of wearing black armbands during the course of the World Cup 2003 which was played at home and in South Africa, as a protest of President Robert Mugabe’s dictatorship in Zimbabwe which was ruining the nation and its future. Consequently, his international career came to a halt even if the team played well to reach the Super Six stage of the competition. He then decided to play some county cricket in England, and later came the idea of coaching in the same country which was gracious enough to hand him a residence in times when his life might have been in danger. He was appointed as England’s assistant coach in the summer of 2007 and after two years, he became the head coach as he succeeded Peter Moores for the job. Flower’s promotion came at a difficult stage of English cricket, when the news was made public that Moores and Kevin Pietersen could not see each other eye-to-eye, let alone having differences in opinion. 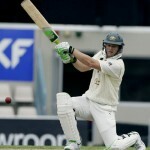 England had a devastating tour of India and a new captain, Andrew Strauss was selected. Flower’s reign began inauspiciously with a Test series defeat in the Caribbean, 0-1 in 5 Tests but then the good times began to come. West Indies were beaten 3-2 in an ODI series in their own backyard as well as at home, where England got the better of them in both Tests and ODIs. That was followed by England regaining at Ashes at home again, like in 2005 and with the same margin, 2-1 even as Kevin Pietersen was injured for four of the five Tests played. The team made it to the semifinals of the ICC Champions Trophy in September 2009 in South Africa, ironically getting knocked out by the eventual winners and defending champions Australia. Their impressive run in South Africa continued with an ODI series win against the home team and a drawn four match Test series, 1-1. Despite a full strength team not travelling to Bangladesh, England had a successful tour there too winning all the matches in March 2010. But close to a month and a half later, England finally won their first ICC global event even if it turned out to be the World Twenty20, defeating Australia in the final. Bangladesh then returned for a trip to England but did not find much success except a shock victory at Trent Bridge in an ODI. After Bangladesh, it was time for Pakistan to tour England for the first time in four years and lost both the Test and ODI series, with the Lords Test being infamous now for the spot fixing scandal. Following a successful home season, Flower played a key role yet again in England defeating Australia in Australia for the first time in 24 years and retaining the Ashes, winning 3-1. Their poor run in ODIs continued in 2011 which consisted of a 1-6 defeat in Australia in a 7 match series, a quarterfinal exit from the World Cup 2011 in the Indian subcontinent and a 0-5 whitewash in the hands of India in India. It is only recently that the team tried to make up for those failures with a whitewash of Pakistan in the United Arab Emirates (UAE), winning all the four ODI matches in 2012. But the home season of 2011 was one of the finest and comparisons can be drawn to 2005, which saw England first beating Sri Lanka in both the Tests and the ODI series and then World’s No.1 Test and ODI team, India in their own backyard whitewashing them in both the formats. The Test series win ironically made England the No.1 team as per the ICC rankings and for some of the terrific achievements of the team, Flower was rewarded with the OBE and the 2011 Coach of the Year Award by BBC. The team was battered in the Test series in the UAE, losing all the three Tests to Pakistan and is struggling in Sri Lanka at the moment. His biggest challenges are yet to come, firstly motivating England to level the ongoing series in Lanka as well as winning later in the year in India. 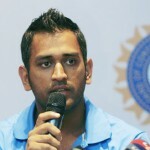 And secondly, is to ensure the successful defense of the World T20 title in Sri Lanka in September 2012. All these results will determine his proficiency as coach of a team which is on the downward spiral. In the history of Australian cricket, Thomas Masson Moody is one of the tallest cricketers to have ever played, being 6 foot 7 inches in height. He was born in Adelaide, South Australia on October 2, 1965 and played 8 Tests and 76 ODIs for Australia. The way in which Moody played, proved that he was a bits and pieces all-rounder which is why he did not have a long career with an unforgiving Australian team. Although he is credited to have been a part of the World Cup winning side in 1999. His first coaching assignment however, was with Worcestershire in the English county circuit in the year 2001, shortly after he retired from all forms of cricket. After doing a decent job in England for a period of four years, he was linked with the coaching job of the Indian cricket team in May 2005 but lost the contest to fellow Aussie, Greg Chappell. However, that disappointment was not for long as he was named Sri Lanka’s cricket coach some months later and this is where he made a name for himself as one of the most reputed coaches in world cricket. Moody’s reign started with a triangular ODI series win at home against India and West Indies in 2005, but disaster followed with bilateral series defeats in India and New Zealand. Yet, the team miraculously recovered to defeat South Africa in order to enter the finals of the triangular series in Australia, eventually losing to the hosts 1-2 in the best of three finals. Sri Lanka was upset by Bangladesh in one of the ODIs in Bangladesh but won that series 2-1. The mixed run continued with a home series loss to Pakistan but a battering of England in England, as Mahela Jayawardene and co. won 5-0 in the summer of 2006. Sri Lanka may have been knocked out in the first round of the ICC Champions Trophy in 2006 in India, but admirably made it to the World Cup 2007 final before losing to Australia at Barbados. Whereas in Test cricket, Sri Lanka were just above average on home soil, defeating South Africa, West Indies and Bangladesh but losing to Pakistan. But it was under Moody that the Lankans began to win matches away from home, defeating Bangladesh, England and New Zealand. He resigned as the coach of Sri Lanka after a satisfying World Cup and decided to try his luck with the Western Australian Warriors. While that reign did not turn out as well for him, his stint with Kings XI Punjab in the IPL was decent as it was under him that the team reached the semifinals in the first season and finished fifth in the second even as the third season saw them finish at the bottom of the points table. Now he is more of a television analyst, who may be willing to take up coaching assignments in the future. In short, to be a coach of a team is a highly respectable position for a person, even if he is not given much recognition for his work. Behind the scenes, it is actually he who takes the pain to inspire the team and has to act as a trusted guide to the players, knowing when to advise them and when to not, so that their game does not suffer. There are two things which matter the most for a coach – One is becoming adaptable to the culture or the environment in which he has to discharge his duty and two, is communicating his ideas well enough to the players so that there is a huge amount of unity in the team to formulate the right strategies.